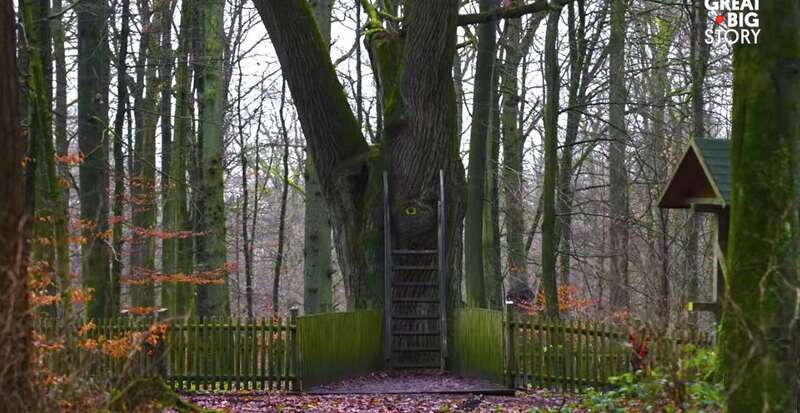 If you haven’t felt the spark of love through online dating apps, it may be time for you to sew your seeds in better places – like under the loving limbs of this tree in Germany. The Bridegroom’s Oak tree is fabled to have had a remarkable history of helping people find true love. It started with a couple in 1890 who used a hole in the tree to pass notes to each other in secret. As more and more people told the story of the star-crossed lovers, more and more people began using the 600-year-old tree as a mailbox to deliver their own letters of love to their future soulmates. The tree was given its own postal address in 1927, and it now receives roughly 1,000 letters per year. People visit the tree, read and take home letters that look interesting, and become pen pals, even get married. Karl-Heinz Martens has delivered letters to the tree as a mailman for 30 years, and he believes the ancient has a certain kind of “unparalleled” magic. If you’re skeptical about the tree’s ability to call in ‘lady luck’, that’s fine – but you should also known that Martens is now happily married to a woman who sent him a letter through the tree after she saw him in an interview on TV.